Are you building, renovating, extending or otherwise altering your home or place of business? Here at Greg’s Glass, we know all about it! We’ve helped plenty of Perth, Rockingham and Mandurah residents with all manner of bifold doors, security doors and vantage windows. And we’ve learnt a thing or two along the way. One of those things is how to install custom designed and manufactured windows. 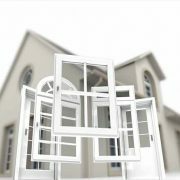 There are a few reasons why it is worth investing in your own, unique tailor made windows. Let’s check out four of them now. The world isn’t what it used to be. Society was once a safe, caring space where people looked after each other and looked out for one another. Unfortunately, things took a turn for the worse somewhere along the way. This means that now, more than ever, it’s important to invest in security. This can mean car alarms, security systems, digital security measures and more. 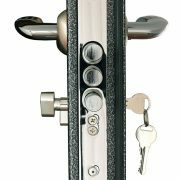 Today, we’re going to take a look at security doors and go through seven benefits of getting them installed. Renovating, building, extending or altering your home is an exciting time. There’s so much to do, things to tick off the list and plans to make that it can get a little bit overwhelming at times. Here at Greg’s Glass, we like to make things easy for our customers. That’s why we’ve come up with this helpful blog. Let’s take a closer look at how to pick the best windows for your property.